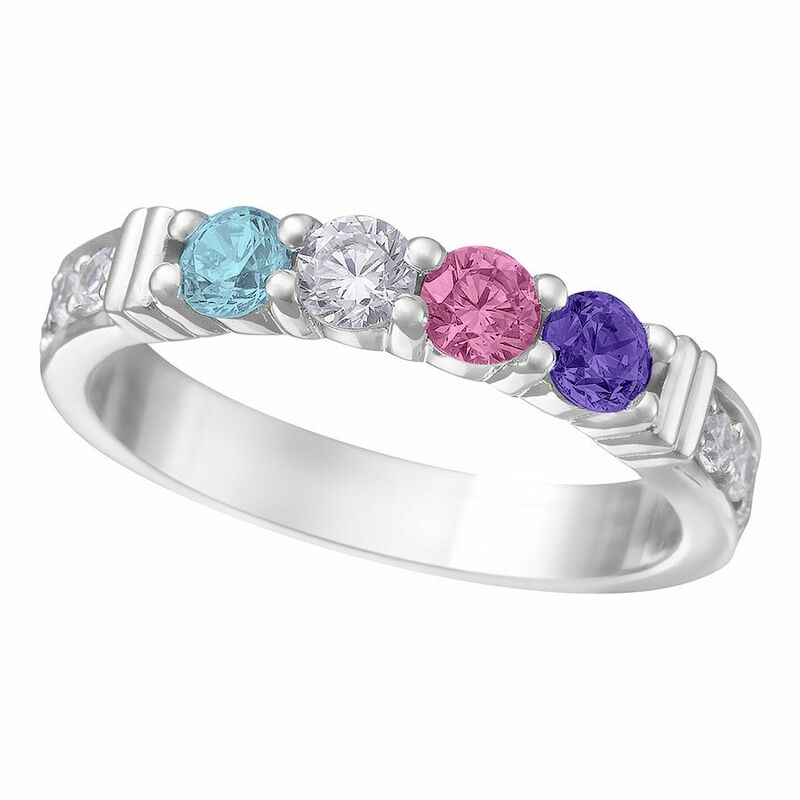 This beautiful Shared Prong - Bar Ring with Side Stones can be customized to fit your desires. Sterling Silver, 10k white gold. 10k yellow gold, 10k rose gold, 14k white gold, 14K Yellow Gold, or 14K Rose Gold. You can further personalize this lovely ring by selecting the number and type of gemstones, the ring size, and choosing between natural and imitation gemstones. Gold options allow you to select CZ or Diamond side stones as well. The ring looks like the loveliest piece of art and gives you the It is time to do something for your mother. Gift her This Ultimate Shared Prongs with side CZs Mother Birthstone Ring, Mom Birthstone Ring, Mom Ring, Nana Ring, to show her that she is special and loved!